Generalized osteoarthritis is a subset of osteoarthritis in which three or more joints or groups of joints are affected. It is often referred to as GOA and may be referred to as polyarticular osteoarthritis and multi-joint osteoarthritis. Your condition may be categorized as generalized osteoarthritis if it appears in multiple areas, almost always including the hand. If you have generalized osteoarthritis, you are more likely to face challenges with function, disability, and quality of life. Most commonly, generalized osteoarthritis occurs in the spine, knees, hips, base of the thumb in the first CMC (carpometacarpophalangeal joint), tips of the fingers, and big toe. The wrists, elbows, and shoulders are typically not involved in generalized osteoarthritis. There isn't a standard definition for generalized osteoarthritis and there may be a movement away from using the term, but it appears very often in medical literature. For example, in 30 different studies that had specific definitions of generalized osteoarthritis, there were 15 different definitions. All of the definitions included the hands and most included the knees and hips, but fewer than half assessed the spine or feet. Generalized osteoarthritis develops spontaneously. Because the definition of generalized osteoarthritis is so variable, it isn't a very useful classification for finding risk factors or for guiding treatment. Further subcategories of GOA would be more useful in guiding research and treatment strategies. Studies have found these overall characteristics with the subcategory as it stands today. Age is a factor, with a higher risk of GOA progression with increasing age seen in almost all studies. Women are more likely to have multiple joint osteoarthritis than men. Older women are more affected by generalized osteoarthritis than any other group. Several studies found more multiple joint osteoarthritis in people who were overweight or obese. Generalized osteoarthritis is more prevalent in patients with advanced knee osteoarthritis than in patients with advanced hip osteoarthritis. Some researchers believe there is a correlation between the presence of Heberden's nodes and generalized osteoarthritis. A gene defect that may cause primary generalized osteoarthritis has been studied, and there have been studies that show a high degree of inheritability of generalized osteoarthritis. Further studies along these lines might find a biochemical cause and lead to targeted treatment. If you have osteoarthritis in multiple joints, you should seek medical care so you can maintain your quality of life and avoid disability. Get advice on how to stay as active as possible so you can maintain function. The other two subsets of osteoarthritis are primary osteoarthritis and secondary osteoarthritis. Primary osteoarthritis is characterized by joint pain, stiffness, limited range of motion, and weakness. Primary osteoarthritis is also referred to as idiopathic, meaning, there is no known underlying or predisposing cause. Primary osteoarthritis is recognized as the most common form of osteoarthritis. Secondary osteoarthritis has an underlying or predisposing cause. 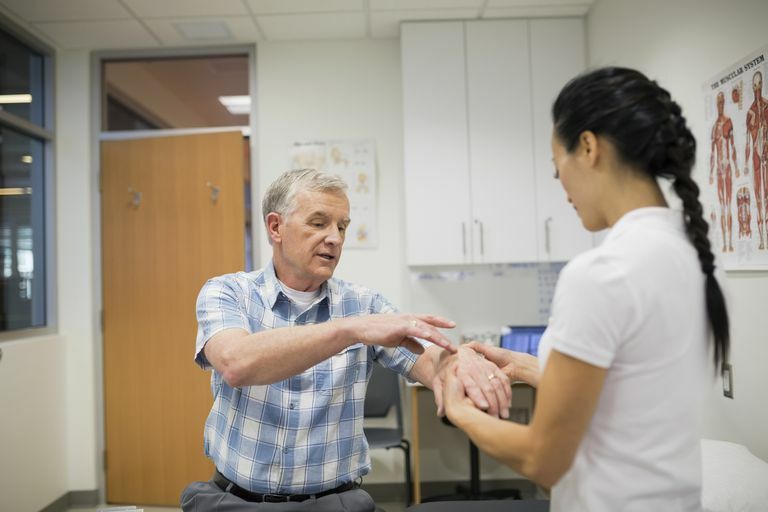 The underlying conditions that cause secondary osteoarthritis include injury, overuse of a joint, rheumatoid arthritis, or other arthritis-related conditions, obesity, and more. Nelson AE, Smith MW, Golightly YM, Jordan JM. “Generalized Osteoarthritis”: A Systematic Review. Seminars in Arthritis and Rheumatism. 2014;43(6):713-720. doi:10.1016/j.semarthrit.2013.12.007. Is Chondroitin Effective in Treating Arthritis?